One of the joys of shooting film is finding camera's with film in it that you haven't used for a while. It's like going back in history. 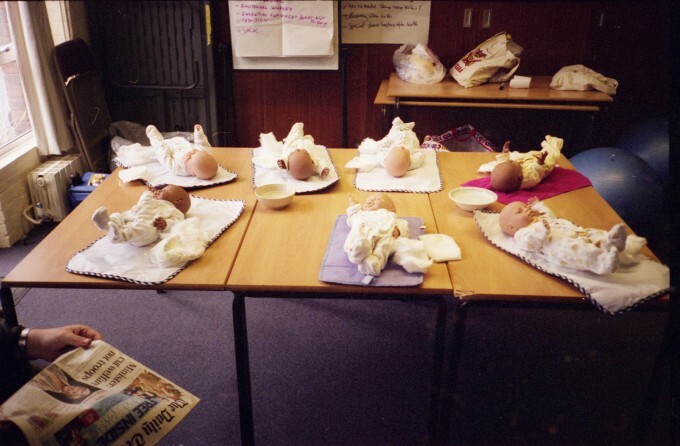 This image was taken at antenatal classes which seems like a different life now. I have no idea what I learned there but I sure am an expert in changing diapers now.